Get decked out in green and watch as the St. Patrick’s Day Parade takes to Salina Street in Downtown ‘Cuse. We don’t take St. Patrick’s Day lightly here, in fact we kick it off February 24th with Green Beer Sunday. Armory Square will come alive after the parade with offerings of live music, green beer, whiskey and good company. Try out Downtown Irish staple, Kitty Hoynes, their bar was imported from Ireland making it a TRUE Irish bar. Have some Irish whiskey at Al’s Wine and Whiskey or pop into Mulrooney’s or Limerick Pub for celebrations with an Irish feel. Don’t want to stay Downtown? Head over to Tipperary Hill, where the only upside down stoplight exists as a result of Irish settlers not standing for “Irish” green being on the bottom. Check out one of the many neighborhood pubs. Get a craft beer at Now And Later, a Blarney burger at Blarney Stone or embrace the live music at Coleman’s. Want to escape the crowds but still spectate? Try Original Grain, order a green smoothie, get your avocado toast on and brunch while still getting in on the action without the crowds or the cold! No need to discontinue your health kick to celebrate the season. For a family-friendly experience, Sky Armory’s St. Patrick’s Day Party is the place for you! You don’t have to miss out on parade action when you can watch from one of their warm spacious ballrooms. Head on over for a fun-filled event with Irish dancers, whiskey flights, food and live music. 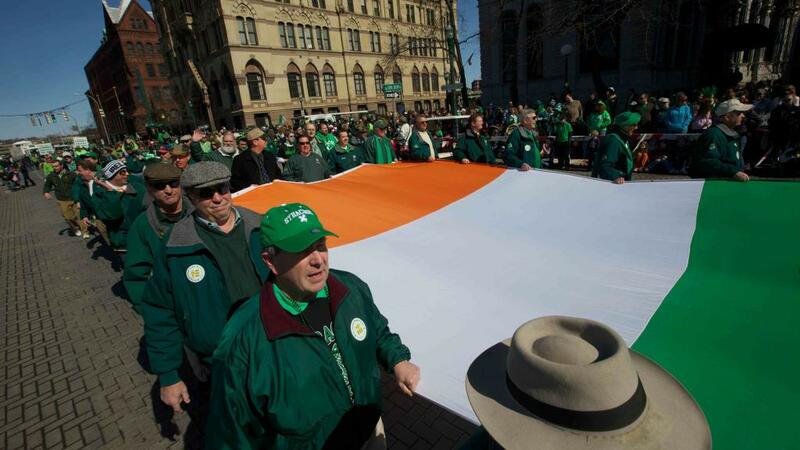 There’s a lot to do this St. Patrick’s Day in Syracuse. Everyone is Irish for the day so get out there and celebrate whether it’s with a green smoothie, live music, Irish car bombs or delicious foodie finds.